The author is an agricultural writer based at Danville, Mich. 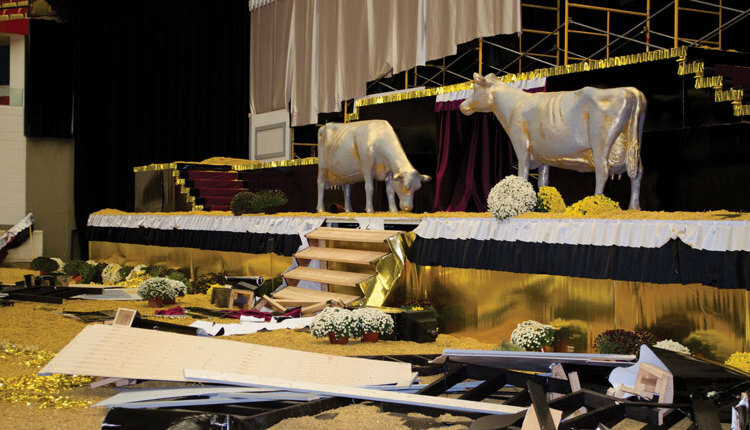 The "Legendary" banners hanging above the show-ring sparked many memories for those in the audience at the 2009 World Dairy Expo. 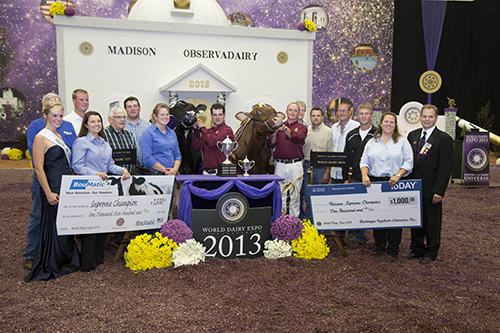 The banners were adorned with the names of show-ring greats and champions since World Dairy Expo began. Seeing the pictures and the names of the great cows that have won the coveted Supreme Champion title started many nostalgic conversations at ringside. "Just seeing the banners with all the great cows on them brings back so many memories," says Mark Adam, director of Integrated Services for NorthStar Cooperative. "I can picture the cows and their moments in the ring as I read their names. I have been coming to Expo since 1974 and got to see a lot of them win. It is always an awesome experience to see the naming of the Supreme Champion." As with any cow show, the opinions varied on who the "legendary" ones truly are. Some went back to the great Charity cow, four-time Supreme Champion, and others chose ones that didn't earn that Supreme Champion title but had great influence on the industry. For most people, the memorable years include more than the cow; they include the people and the story attached to winning the Supreme Champion title. Many remember the cows that propelled their breed into the headlines, like Pistachio Pie, who was named the Supreme in 2007, the first time a Guernsey had won the title since 1979. 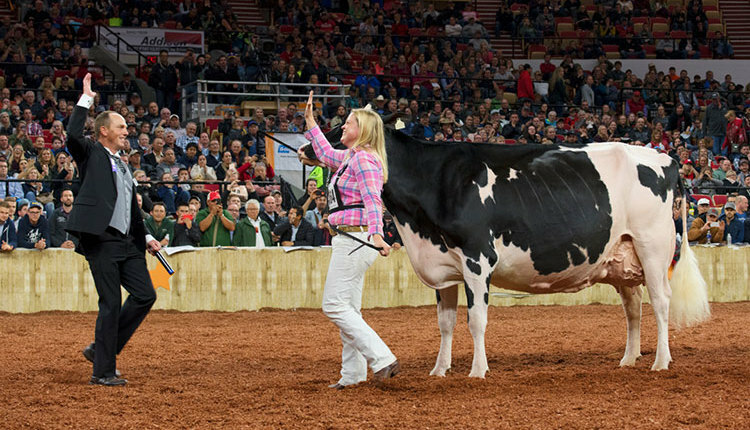 Pistachio Pie, owned by then 18-year-old Ashley Sears of South Deerfield, Mass., was also the first cow to be named Supreme Champion of both the junior and the open shows. "The year "Pistachio Pie" (Indian Acres MM Pistachio Pie) stole everything was the best for us," says Jim Trotter of Trot Acre Farm. "I have been standing ringside for 20 years; it is exciting to see new people, especially the youth get involved." 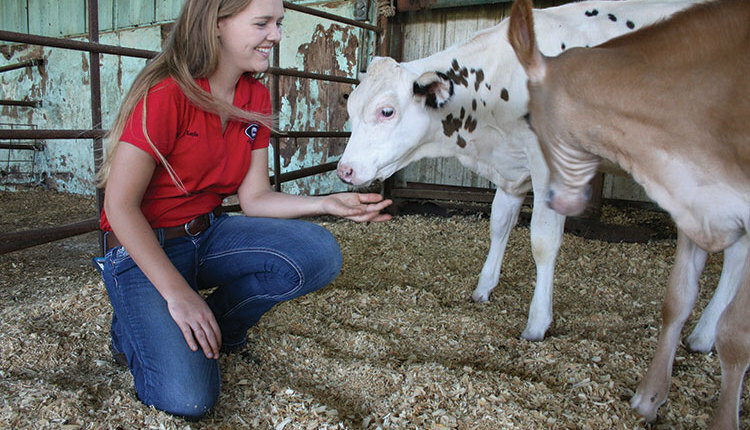 The diversity of the cattle shows at World Dairy Expo creates a wide range of memories for people. 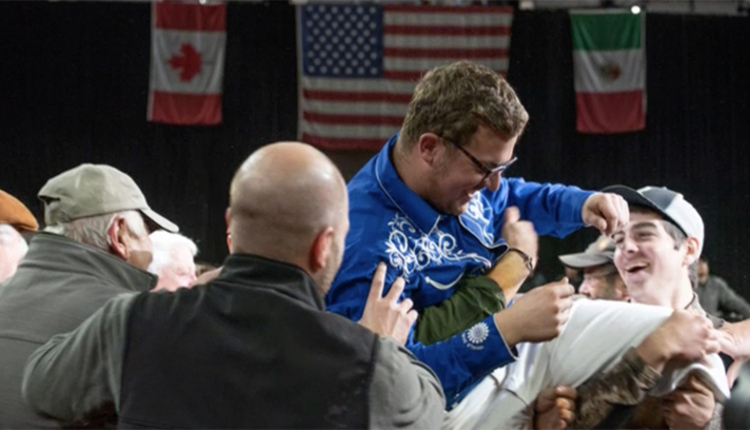 Many people in the Coliseum have been involved in Expo in some form for many years - either in the show-ring, or in the judging contest, or just helping out in the barns - and everyone seems to have a memorable story to tell. "My experience goes back farther than World Dairy Expo," says Mert Sowerby of Michigan. "The first national show I attended was in 1939 as a 4-H member. That was the year Gene Meyer won the high individual honors." Since his days as a 4-H judge, Sowerby went on to be an international dairy judge, including judging at World Dairy Expo and in 2010 will be inducted as a National Dairy Shrine Pioneer. "When it comes to the cows, some of the legendary ones for me have been "Snickerdoodle" (Old Mill E Snickerdoodle) and "Tony Beauty" (Rainyridge Tony Beauty). But the best parts of Expo have been the people as much as the cows. I have met people from all over the world here in Madison." Those who have watched the evolution of the national shows held at World Dairy Expo have witnessed many changes in the type and conformation of the breeds. They have also seen the advancements in how cows get ready and are prepared for show day. 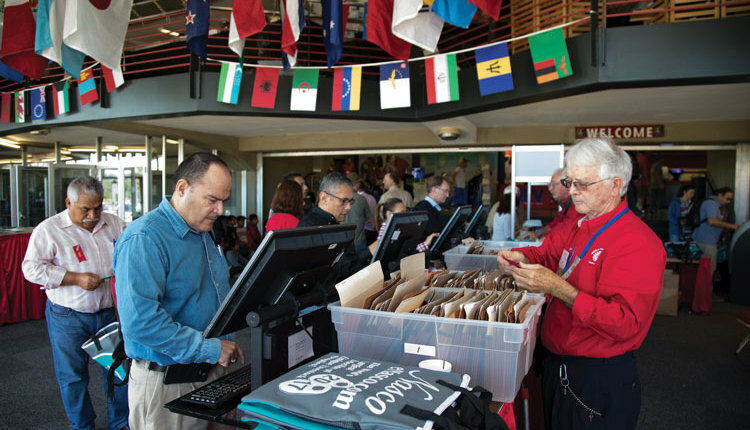 "The improvements in quality - across all breeds - is remarkable. There has been a dramatic difference in the past 15 years," says past Expo judge and Brown Swiss breeder Wayne Sliker. Old Mill E Snickerdoodle, owned by Allan Bassler of Virginia, is one of the modern-day favorites at the show. Snickerdoodle made Expo history in 2009 when she was tapped as Grand Champion of the Central National Brown Swiss Show for the sixth time. 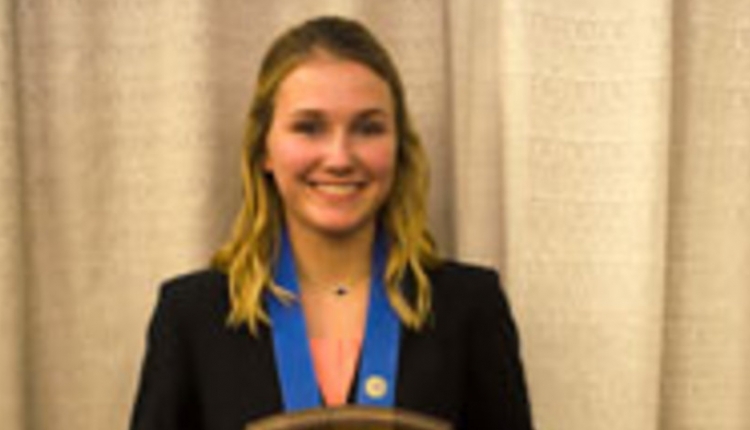 No cow has ever achieved that honor before at World Dairy Expo. She rounded out her week being named the Reserve Supreme Champion. She was the Supreme Champion in 2003. "Snickerdoodle has been the greatest asset ever to the Brown Swiss breed," Sliker adds. "She showed that the Brown Swiss can compete with all cattle, of all breeds." For the people who follow the animals year after year, it is exciting to see the animals come up through the ranks, earning titles along the way until they reach the top with Supreme Champion banner. Tri-Day Ashlyn-ET, owned by Ernest Kueffner and Oseeana Holsteins, claimed the Supreme title in 2001 after having a successful run as a young cow, standing second at Expo as a fall calf in 1997, and then first place as a 3-year-old and a 4- year-old in 2000 and 2001. "The Tri-Day Ashlyn story was so neat to watch unfold," says Mark Adam. "We watched her do well as a calf and then to come back and win it all as a 4-year-old was really exciting. And the Day family are such good people. I was really happy for them to have such success with her." 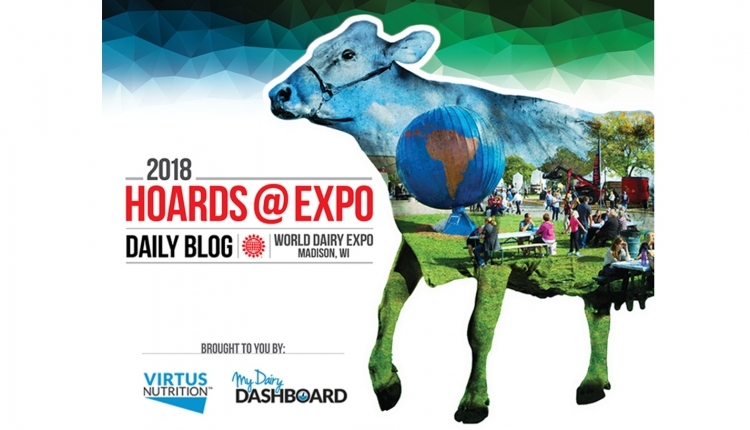 While everyone has their favorite Expo experience, it is true that the stories, the memories, and the relationships made at Expo will continue to be what make the annual trek to Wisconsin a legendary experience for the cows and the people who admire them.